Everybody that has gone camping or hiking knows what it feels like to leave something important behind, or even to bring something unnecessary along that just adds extra weight. Well, a new idea aims to completely change the way that we pack for outdoor adventures. Introducing The Original Trip Tarp! Instead of just using a plain tarp, or even a sheet to scribble down everything that you need, the Trip Tarp condenses everything. This saves you time and makes your trip management far more efficient. The Trip Tarp also eliminates the need for different lists while going on different trips. The Trip Tarp is far more than just an organizational tool. Essentially, the Trip Tarp is a 5 x 7 foot 70D nylon tarp that gives you visual packing cues. The necessary items are divided into 8 different main categories. These categories are Trek & Pack, Shelter, Sleep, Eat & Drink, Personal, Wear, Cook and Safety. Each of these are then divided into subcategories to maximize your packing management. Check out the introduction video below. The Trip Tarp makes an excellent sun shade or shelter. 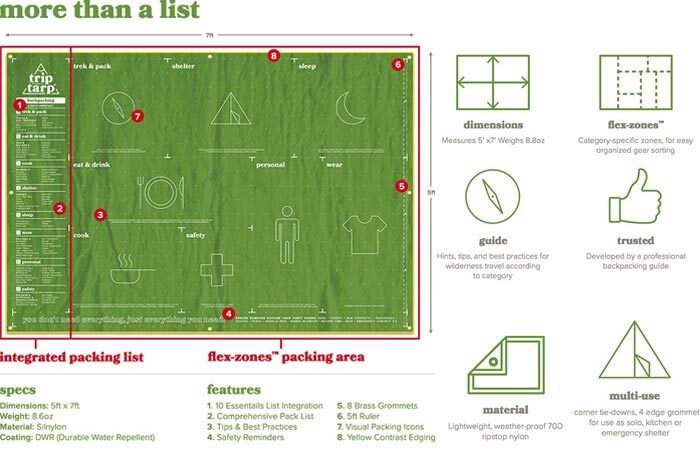 In addition to this, the Trip Tarp serves more purposes than just a packing list. It comes with a DWR coating which makes it perfect as an emergency shelter, or even a sun shade. It can also be used as a hammock cover, or a ground sail. Furthermore, to ensure maximum capabilities, it comes with 8 brass grommets for easy tie-down. 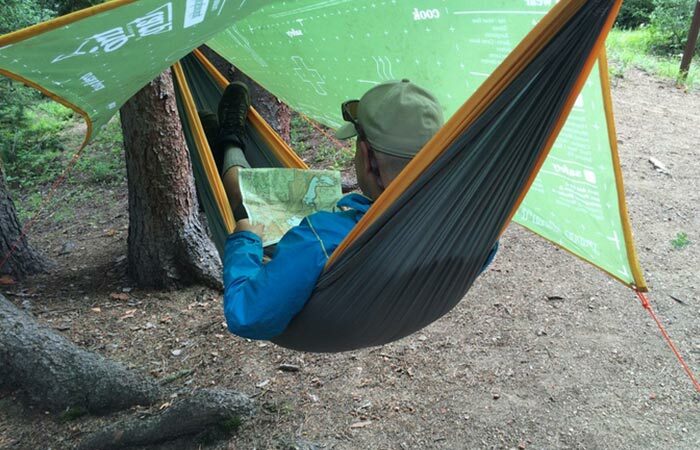 Because of the DWR coating, the Trip Tarp also makes an excellent hammock cover, even in rainy weather. 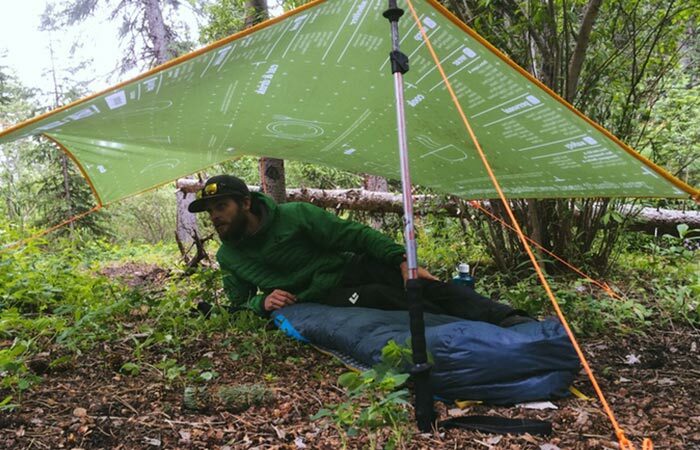 At the moment, the Trip Tarp is being featured on Kickstarter. So, head over there for an early bird special.